Arena Mexicali was founded by Jorge González after he left Arena Coliseo Mexicali. It was inaugurated on November 19, 2002. This Arena ran lucha libre events on fridays. 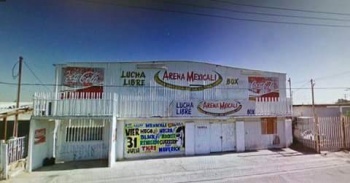 Arena Mexicali was located at Calle Sexta and Avenida Querétaro, Colonia Pueblo Nuevo in Mexicali, Baja California. This page was last edited on 31 August 2018, at 07:36.